Nordea-fonden is a Danish foundation set up to promote ‘good living’ in Denmark. Its CEO, Henrik Lehmann Andersen talks to Charles Keidan about how it has taken this broad idea and refined it and how, in the process, the foundation has become more strategic. He also talks about the role and perception of philanthropy in Danish society and explains how, despite initial reluctance, Danish foundations are sharpening their practice. Nordea is an independent foundation that started in 1989. Our initial capital came from a merger of a number of corporate banks. At the time, it was just the banks’ representatives who were on the board. There was some money set aside from the merger by one of them to go back to the original investors, the depositors and the idea was that they could apply for money from it for all kinds of projects. At the beginning, it served a broad area. From then until today, it has developed both in size and focus. So the bank is not connected to the Foundation? No. We just share the name and the history. We describe ourselves sometimes as an endowed fund derived from the wealth of the bank, or as a charity. Our capital is from old money. We don’t get any new investment from companies. That means you are free to do things that are not connected to corporate image. That’s really important for us. And that’s not always the case? No, it’s not. You can be tied to a family, to a big company, or you can be like us, not tied to anything. If you are in that category, then you have to have a really humble approach to what you’re doing, because it’s not your money. Our capital is about 12 billion Danish Krone, which is approximately 2 billion Euros. We donate the returns on the capital every year. This year we are donating around 600 million Danish Krone – approximately 90 million Euros – which puts us among the five biggest foundations in Denmark at the moment. So what percentage of your capital are you donating in 2016? We’re donating 80 per cent of our annual return. Under Danish legislation, you have to donate 80 per cent of your annual return not to pay taxes. That’s about 6-8 per cent of our capital value. You’ve developed strategies in order to choose the projects you support. How have these strategies evolved over time? Before 2008 there was no strategy or only a really simple one – to support the Danish people, because it’s their money from the savings in the bank that we’re donating. Around that time, we began to see that our capital was increasing. We needed to be more thoughtful about how we made our grants. Rather than just getting applications and supporting them, we had to be more specific about how we were trying to influence our market, so to speak. We had to be more transparent so people knew what we supported. The foundation’s first strategy was created in 2008. This was to support good living in Denmark. Under this, four focus areas were selected – culture, exercise, health and nutrition, and nature and we hired staff with expertise in those areas. That has basically remained the same. It was unchanged during the period of the financial crisis when our donations fell in line with the return on our investments. In 2012, we were back on track with our investments and our donations increased, I was hired as CEO and we came up with a revised strategy which came into force in January this year and which is really just more sharply focussed. While still keeping the same general areas, we have a new layer of specific target areas. Has your board and staff changed too? In 2008 when we created the strategy, we also looked at the board with a view to getting more people involved with wider competencies in the areas of the strategy, and who were not just drawn from the network of those involved with the bank. Actually, board recruitment was done very professionally through a head hunter company, who set out the skills board members should have before recruiting them. That’s essentially the board I have now. In terms of the staff, there were seven or eight staff members in 2008 and now there are 17, because we also have a few other lines of work on top of the four focus areas and the target areas. Now that you have your new strategy in place, what projects are you and your staff most excited about? One of the things that we have been very successful in is in working with children and nutrition. 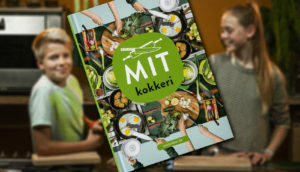 A few years ago the curriculum of nutrition in the Danish public schools was changed and a new course in food and nutrition for the 5th grade was created. 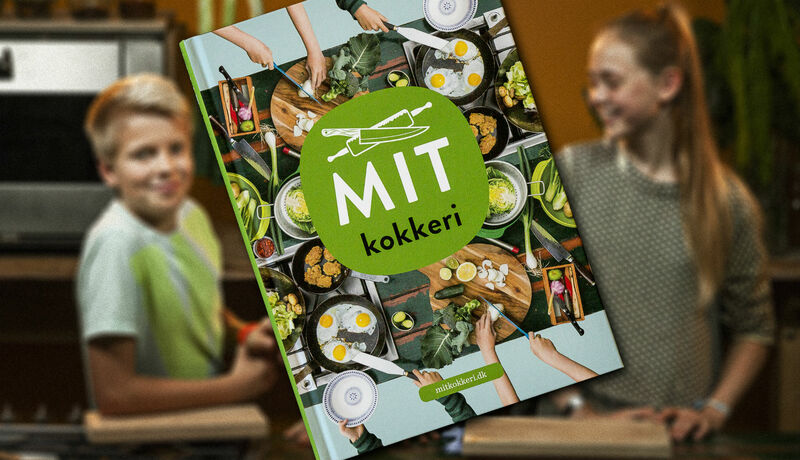 We supported that by funding the new material that they have to work with, and we also created a cookbook that the children made themselves to take home, to try to educate their parents on how to cook healthy and good-tasting food. Every child in the 5th grade got to take a copy home last year and there’s a second edition on its way now. And that involves working together with the Danish government? Exactly. The partners in the project, the national health agency and a few others, approached us, because they knew that we had this focus on children and nutrition. They asked us if we could work together on creating or improving the new curriculum. Was it your expertise as well as your financial resources that drew them to you? Actually, I think it was our very direct communication of our strategy and our target areas, and they could also see other projects that we were involved in. Afterwards, they appreciated our expertise in helping develop the project because it wasn’t just an application that we gave the money to – we worked on its development. In fact, 70-80 per cent of our projects are like that. There’s a very long intensive dialogue based on our strategy before we reach a decision about projects and funding. And that allows you to have more impact and be more influential? Yes in fact, that long process allows us to design impact assessments so we know what we’re achieving both in the short and the long term. We’re not doing that because we want to control the project, but because we want to share the knowledge with everybody else who is working in the field. So we also do conferences and seminars where we gather different stakeholders in the area of children and nutrition to help publicize these projects. Denmark and Albania are the only countries who don’t have any kind of umbrella organization. How do you deal with the fact that there might be different views amongst philanthropies or NGOs or others about the right approach in a specific policy area? We don’t yet have any means for debating the issue after the project has been put in place, but we are very focussed on trying to get all stakeholders’ opinions put forward during the development process. On the other hand, you also have to take risks – that’s what philanthropic money is for – so sometimes you just close your eyes and try it because you have the right engagement and motivation in the project partners and you see what happens. And then you measure it and share the knowledge that is created from it. We have a few projects that are working on totally new ground, especially projects that involve trying to get more young Danes to be civically or politically active. When you start projects like that, you don’t have a clue if it’s going to work or not. You just look at the people that are putting forward the idea, try to help them refine it and then focus on their engagement and their motivation afterwards. Just to complete the picture of what we do, we have three kinds of projects. One is projects analysing an area or theme. At the moment, for instance, we have a project working on new families, trying to map that and the possibilities and challenges it offers. Second, we have testing – pilots or models. 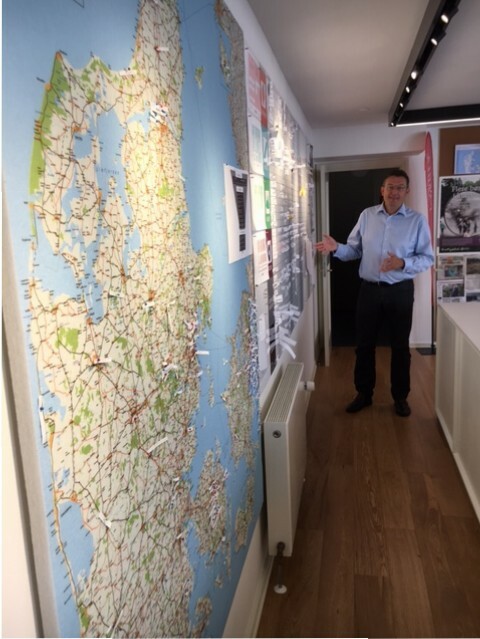 We’re supporting a museum, which is an old prison, where they are doing an exhibition on how we deal with crime in a society like Denmark. It prompts visitors to discuss the issues – why do we punish people? Is it because we want to put them away or because we want to re-socialize them? And third, we have what we call ‘rolling out’ projects, something that you know works, so you do one hundred of them. 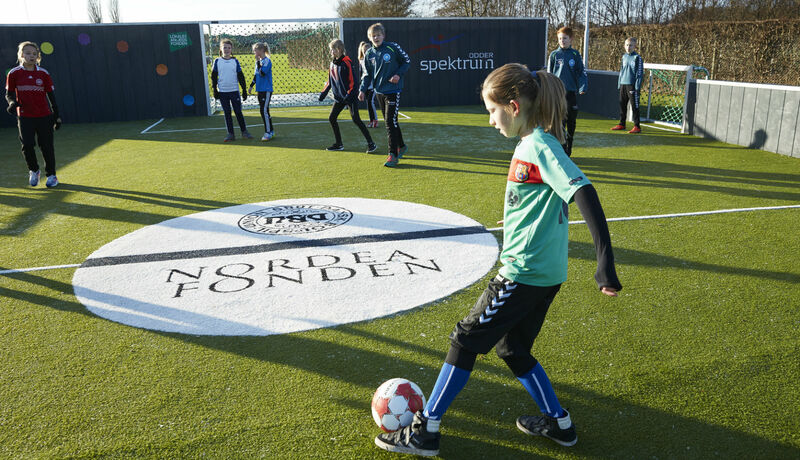 For example, we have a project in partnership with the Danish Football Association. They are making really small football fields with artificial grass and they are enclosed so that the ball is kept in play. We do this because testing showed us that the smaller the field, the fewer the people are playing, the more exercise you get, and the more inviting it is to people who are not footballers. So we are rolling them out all over the country. One of the newer and most important elements of our new strategy is evaluation. Before, we were cutting a red ribbon and patting each other’s backs and saying ‘this is really nice’, and that was it. Now we are working very much on the impact and the sharing of knowledge. Not only the impact as legitimizing our way of work but as a basis for sharing. 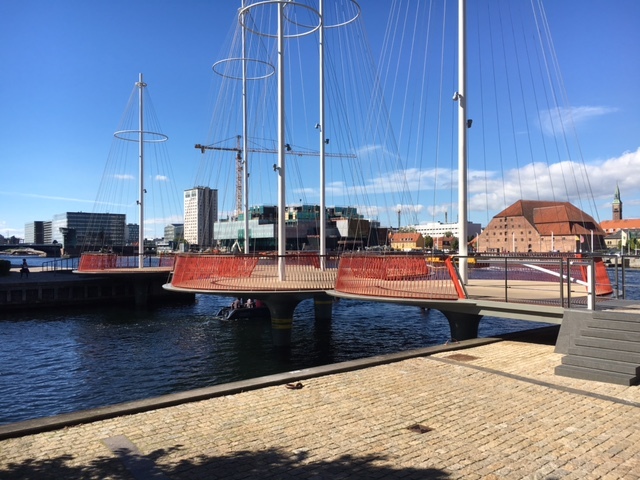 The Cirkelbroen bridge, a gift from Nordea-fonden to the City of Copenhagen. To what extent is what you’re doing typical of your peers in Denmark? It’s typical during the last few years and among the ten foremost foundations. There are also foundations who say that ‘this part about measuring and identifying, that’s not us – we want to have the freedom to do whatever suits us’. So there is always a debate about different approaches to philanthropy: what are our basic values? Why are we here? We have this network of directors of prominent Danish foundations, which is gathering here this afternoon, where we discuss subjects like that. Is it an informal network or is it part of an umbrella of Danish associations? We don’t have an umbrella of Danish associations. Denmark and Albania are the only countries who don’t have any kind of umbrella organization. We have created this more informal way of networking where we have a small group of foundations who gather three times a year to talk about the questions that concern us at the time. All the foundations who give more than 20 million Danish Krone are invited and it includes the more strategically focussed as well as the more traditional. How has the Danish philanthropy tradition developed? There’s been a very profound development during the last years where a few foundations have been looking abroad, considering their collective impact, and trying to implement external ideas in a Danish context. Our language, our terminology has remained the same, the way we act has changed, so we don’t use terms like programming or stakeholder projects, but that’s exactly what we do. We try to extract what knowledge we can from other foundations, both in Denmark and abroad, and put them into our own framework. That also helps our board to realize that these other tasks like sharing and measuring are really important to fulfilling our strategy. Now, our board don’t see their role as being to decide on application but to create the strategies and follow up on them. The focal point of my work during the three years has been to shift from having 90 per cent of the time in the board meetings spent on projects and decisions on projects, to having 50 per cent on that and the other half on the more important things, like strategic direction. How is philanthropy perceived in Danish society? The general opinion in Danish society is that it’s good we have foundations mainly for two reasons. The first is that, in a very heavily democratic country like Denmark, where everybody is involved in every decision that we make, it’s good there is some what you could call free money moving across the different areas. Foundations have donated about 1.2 billion Euros this year to all kinds of projects. That’s good for Danish society. The other reason is that there are also a handful of Danish foundations who have majority shares in really big Danish companies like Carlsberg, Novo and LEGO and so on. The general view is that those companies wouldn’t have stayed in Denmark if the foundations didn’t control them. The focal point of my work during the three years has been to shift from having 90 per cent of the time in the board meetings spent on projects and decisions on projects, to having 50 per cent on that and the other half on the more important things, like strategic direction. You’ve also done some polling of the public’s perceptions of Danish foundations? Yes, every year, 13 of the biggest Danish foundations circulate a questionnaire where they ask ordinary Danes how they see foundations and what they know of the foundation sector in Denmark. What percentage of the Danish public know of Nordea-fonden? About 30 per cent of Danes have heard of Nordea. We are quite proud of that. There are increasing levels of scrutiny and interest in what philanthropy is doing around the world. Has that happened in Denmark? Yes. The Ministry of Trade is responsible for registering Danish companies and foundations. A few years ago they set up a committee on governance in large Danish companies which produced some recommendations. That created pressure to do the same for foundations. Two years ago, they issued a set of sixteen recommendations on good governance for foundations. They are not mandatory. They are something you can follow if you choose. They’re about things like how you appoint your board, what their terms are, their reimbursements, and the salaries of CEOs. Have many foundations taken it up? When the work started, there was a lot of opposition among Danish foundations. Prior to its launch, a lot of them said that they weren’t going to follow it because it was too complicated. Today, everyone is following it, and actually a kind of competition has arisen, where everyone is trying to do better than the others. A Danish newsletter does an annual rating of how well different foundations are following the recommendations. We are of course number one!